The Sterling by Music Man Sub Ray 4 Bass Guitar features a superior design and construction which delivers a solid and reliable instrument. The Sub Ray 4 provides you with a vast range of features that have been optimised to ensure outstanding playability and easy adjustments, plus great value for money. 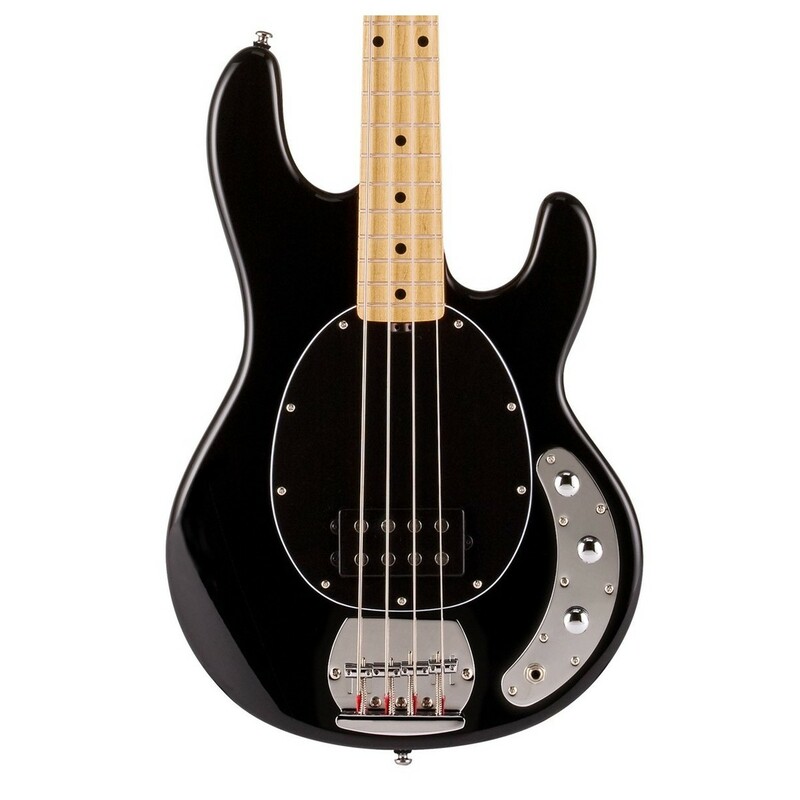 Ideal for beginners and intermediate players alike, the Music Man Sub Ray 4 has a lightweight basswood body which is combined with a warm, smooth maple neck and fingerboard. 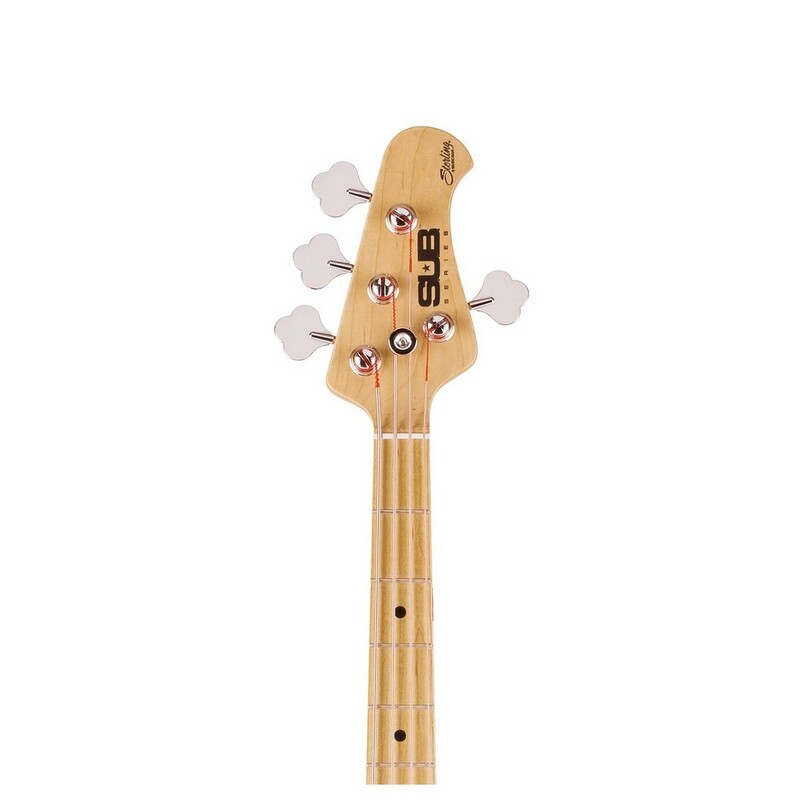 These basses have a bright and natural tone which comes from the high output humbucking pickup. The 2 band active preamp gives you control over volume, bass and treble so you have maximum flexibility whilst finding your sound. Tones span the range from aggressive, wild to mild! The preamp is powered by a 9 volt battery which sits in an easy to open compartment making changes simple and easy. This battery should last for several months under normal use, especially if you unplug the cable when you're not using the bass. 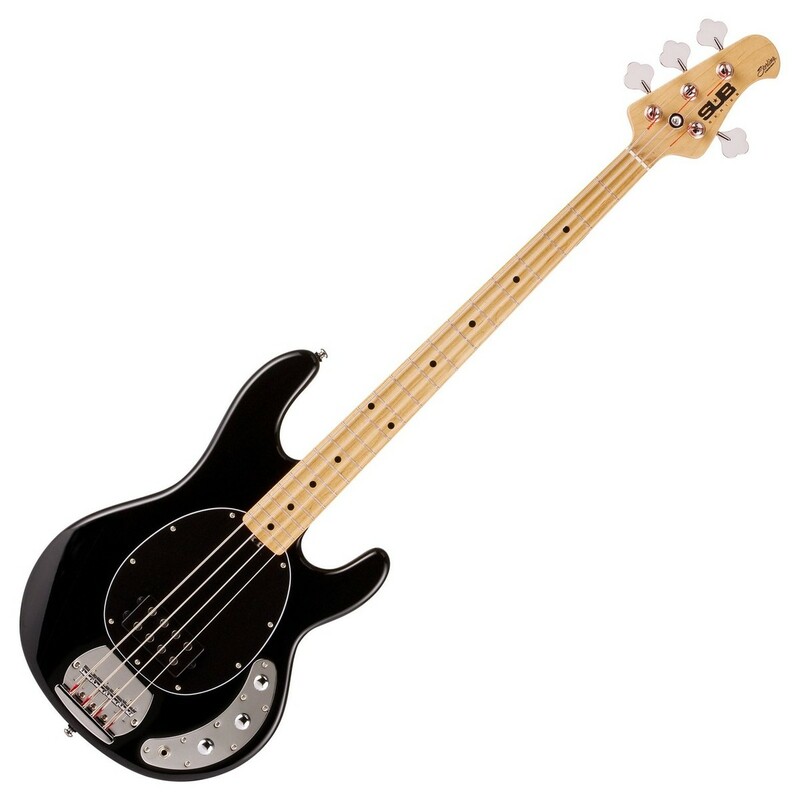 This SUB bass has a superior 6 bolt neck joint designed by Music Man which gives you strength, stability and great tone. You can trust that the neck will remain in position and not shift under heavy load. The unobtrusive neck heel allows you easy access to the higher frets so you can easily explore the fretboard. The feel of the neck is important in a bass because of the amount of contact your hand has with it and the frequency of movement. The super smooth satin finish on the back of the neck is non glossy, never gets sticky and stays fresh. The tint in the finish also gives the Ray4 a nice classic look. All string instruments will benefit from the occasional adjustment to suit your preferred set up. The SUB neck adjustments are quick and easy, requiring no special tools. The small thumbwheel located at the end of the fingerboard is easy, quick and convenient and can be adjusted without removing the neck or strings. If you need to adjust the angle or height of the pickup, 3 screw adjustment makes this easy too. The output jack is cleverly placed at the top of the body which means you won't be fumbling round trying to plug in your cable. Located on the control plate, the jack is secure and won't easily pull or get damaged when placed in a guitar stand. The heavy duty jack is designed to withstand plenty of use and abuse!